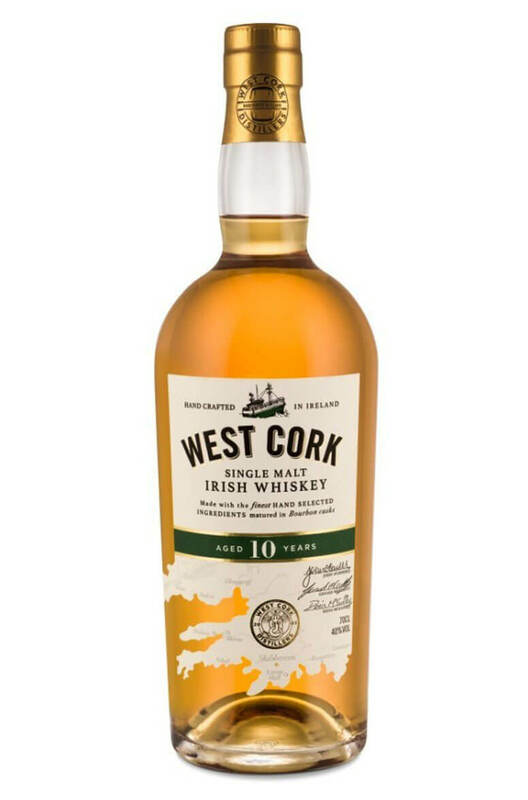 A smooth and soft single malt that is bottled by the West Cork Distillery. Nose Fresh oak, pencil shavings, vanilla, ginger, apricot and pineapple. Uncomplicated but fresh and vibrant. Palate Soft and fruity on initial taste then there are more peppery, spiced notes. Quite chewy and oaky with a slight mouth-drying sensation. Classically styled bourbon cask matured Irish whiskey. Flavours of pineapple turnover, red apples, citrus peel, ginger, vanilla and black pepper. Types of Barrel used for Aging Entirely aged in ex-Bourbon barrels.